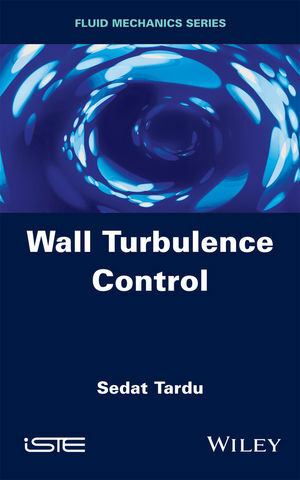 Wall turbulence control is a major subject, the investigation of which involves significant industrial, environmental and fundamental consequences. Wall Turbulence Control addresses recent advances achieved in active and passive wall turbulence control over the past two decades. This valuable reference for scientists, researchers and engineers provides an updated view of the research into this topic, including passive control, optimal and suboptimal control methodology, linear control and control using adaptive methods (neural networks), polymer and bubble injection, electromagnetic control and recent advances in control by plasma. Sedat Tardu is Associate Professor at Grenoble University in France where he teaches turbulent shear flows, heat transfer, fluid dynamics, and chaos. His research area includes canonical and non-canonical wall turbulence, active and passive control of near wall turbulence, unsteady wall layers, mixing and micro-mixing, and microfluidics. He has been a visiting researcher at several universities (Ecole Polytechnique Fédérale de Lausanne, Imperial College London, Beihang University Beijing) and he is author of more than 200 papers in peer-reviewed journals, and international conferences and of several book chapters.